Please join us at the Museum for some of the events accompanying our latest special exhibit, From Barbed Wire to Battlefields: Japanese American Experiences in WWII, on view March 15-October 12, 2014 in the Joe W. and D. D. Brown Foundation Special Exhibit Gallery. Would you dare to defend your nation while others like you, possibly even your own family, are confined behind barbed wire within that same nation for reasons of ancestry alone? More than 33,000 Japanese Americans did just that. A new special exhibit at The National WWII Museum will showcase some of their stories. From Barbed Wire to Battlefields: Japanese American Experiences in WWII includes artifacts, oral histories and stark images depicting the hardships faced by those Americans of Japanese ancestry suspected of sympathizing with the enemy and discriminated against because of their heritage. The exhibit will also honor the heroics of those Japanese Americans who overcame adversity and helped to secure American victory on the battlefields. After Japan’s surprise attack on Pearl Harbor in 1941, the United States was gripped by fear, anger and racial prejudice. In the name of national security, 120,000 Japanese Americans were imprisoned. Not a single one was ever found guilty of espionage or sabotage. In Good Conscience explores the relatively few Americans who recognized at the time that the United States government was committing a great wrong. Author Shizue Seigel sketches vivid portraits of two dozen teachers, ministers and just plain folks who advocated for the Japanese Americans in the media, worked in the internment camps, safeguarded their property or helped them start new lives after leaving the camps. In Good Conscience brings new insight into what transforms ordinary people into extraordinary advocates for justice and compassion. Co-sponsored by the Japan Society of New Orleans. A light reception will precede the event. For more information call 504-528-1944 x 333. RSVPs are appreciated for this event. Discuss with fellow readers the story the Los Angeles Times called “Haunting…. A whodunit complete with courtroom maneuvering and surprising turns of evidence and at the same time a mystery, something altogether richer and deeper.” In 1954, a local fisherman is found suspiciously drowned, and a Japanese American named Kabuo Miyamoto is charged with his murder. See how the echoes of the past cloud the present and affect the future. Come prepared to ask questions and discuss the novel with participants and Museum staff. In 1942, Bill Manbo (1908–1992) and his family were forced from their Hollywood home into the War Relocation Center at Heart Mountain in Wyoming. While there, Manbo documented both the bleakness and beauty of his surroundings, using Kodachrome film, a technology then just seven years old, to capture community celebrations and to record his family’s struggle to maintain a normal life under the harsh conditions of racial imprisonment. Colors of Confinement showcases 65 stunning images from this extremely rare collection of color photographs, presented along with three interpretive essays by leading scholars and a reflective, personal essay by a former Heart Mountain internee. Eric Muller presents. The Karate Kid is a 1984 film directed by John G. Avildsen and written by Robert Mark Kamen, starring Ralph Macchio, Noriyuki “Pat” Morita and Elisabeth Shue. It was a commercial success upon release, and garnered favorable critical acclaim, earning Morita an Academy Award nomination for Best Supporting Actor. Morita, who was, himself, a child internee at Gila River Relocation Center, plays Mr. Miyagi, veteran of the 442nd Regimental Combat Team who befriends Macchio’s Daniel LaRusso and teaches him karate. In their own words, Nisei veterans recount their battles against wartime suspicion and racism, and of overcoming them with courage and patriotism. Writer and photographer Tom Graves spent a decade with the Nisei (Japanese American) soldiers of World War II and the Korean War, determined to share their unlikely story. At first denigrated and mistrusted, Nisei veterans — now in their 80s and 90s — earned the praise of a nation, and ultimately, a Congressional Gold Medal. The most decorated US military unit in history, they fought while their families were interned in bleak American prison camps during World War II. Twice Heroes earned the prestigious 2014 Benjamin Franklin Award in History. Hiroko Kusuda, Associate Clinic Professor at Loyola New Orleans College of Law will present on one of her first client experiences, a legal case involving Japanese American incarceration and redress. During World War II, the 120,000 Japanese Americans living on the West Coast were ordered into barbed-wire enclosed internment camps, allowed to bring only what they could carry. The Art of Gaman relates how the internees practiced the discipline of gaman enduring the seemingly impossible with patience and dignity by creating objects of beauty and utility out of scrap and found materials. The objects stand as a testament to the resilience of the human spirit. Author Delphine Hirasuna presents. The Midwestern city of Cleveland, Ohio, is the setting for this contemporary Japanese American story. Told from the perspective of 29-year-old filmmaker Matthew Hashiguchi, Good Luck Soup is a personal documentary that reveals the post-internment camp lives of Japanese Americans in the American Midwest through the dynamic relationship of Matthew and his grandmother, Eva Hashiguchi, a victim of the World War II Japanese American Internment Camps. In October, the Museum presented our first FREE webinar of the school year, The War that Changed YOUR World: WWII Science and Technology. These webinars allow schools without traditional videoconferencing equipment to connect with the Museum. Virtually any school in the nation, including home schools, can view and participate in programs rich with primary source content from our collections. We had over 1,200 students from 20 states tune in to this first fun-filled session. November also marks Native American Heritage Month. Perfect now, or for any time of year is our Virtual Field Trip videoconference Continuing the Warrior Tradition: American Indians in WWII. Students will encounter the common prejudices against American Indians in the Military, have the opportunity to hear from Medal of Honor recipient Van Barfoot, and even try their hand as a Navajo Code talker. Freshly minted, teachers can book our newest program I AM an American: Japanese Americans in WWII. Students will explore the story of Eva Hashiguchi, who spent her high-school days as an internee in Jerome, Arkansas. Students will examine the country’s actions to apologize for the injustices committed against Japanese Americans. They will also hear about the struggles and tremendous accomplishments of Japanese Americans in the Military. Lastly, don’t forget to join us for our next FREE webinar to commemorate the anniversary of Pearl Harbor. Whether you live in Los Angeles, New York, or somewhere in between, we hope to connect with your classroom soon! Learn more about all of our virtual field trip offerings. In February 1942, President Roosevelt issued Executive Order 9066, creating military sections from which enemy nationals were to be excluded. You can read more about Executive Order 9066 here (will open in a new window). On March 18, 1942, the War Relocation Authority was created for the purpose of aiding families in the required relocation of their homes as according to Executive Order 9102. Initially, the migration was basically an unfunded mandate to move; when the government recognized that there were several obstacles that made this incredibly difficult for most families, the WRA was created in order to ease the financial and logistical burdens of the required move. A month previous, President Roosevelt had enacted a ban on the presence of Axis nationals (Germans, Italians, and Japanese) in militarily important areas, and required that those who lived in or near such areas move out of it. This essentially included the entire state of California, where the majority of Japanese lived and worked. While several-thousand Germans and Italians living in the US were also relocated, more than 100,000 Japanese–the majority of whom were American citizens–were interned in ten relocation camps. 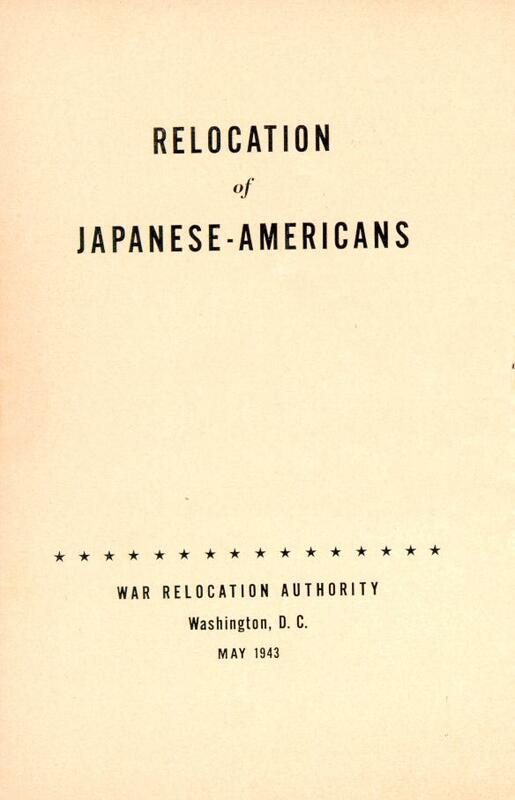 The fact that American citizens of Japanese descent were included in the relocation while Germans and Italians who held US citizenship were left alone, reflects the continued paranoia and distrust of the Japanese as a people following the attack on Pearl Harbor, the Ni’ihau Incident, and the subsequent bombing of the California coast by a Japanese submarine that only intensified the fear of a fifth column. American propaganda also maintained that no one was a prisoner, despite that fact that all camps were fenced in and under armed guard at all times, and families were housed in “apartments” measuring not more than 20’ by 25’. A view of the inside of the small apartments allotted to interned families. Poston War Relocation Center, Arizona. It is also important to distinguish between the residents of relocation centers and civilian internees. Under our laws, aliens of enemy nationality who are found guilty of acts or intentions against the security of the Nation are being confined in internment camps which are administered not by the War Relocation Authority but by the Department of Justice. American citizens suspected of subversive activities are being handled through the ordinary courts. The residents of the relocation centers, however, have never been found guilty–either individually or collectively–of any such acts or intentions. They are merely a group of American residents who happen to have Japanese ancestors and who happened to be living in a potential combat zone shortly after the outbreak of war. All evidence available to the War Relocation Authority indicates that the great majority of them are completely loyal to the United States. A 1944 WRA-produced video regarding internment. The decision to intern American citizens of Japanese descent in early 1942 is today regretted as one of the most disreputable civil rights abuses in American history. It is an event which seems almost unthinkable for contemporary American society, and as such is a poignant and necessary reminder of the degree of peace we enjoy in our world today, and how different was the atmosphere of the Second World War. 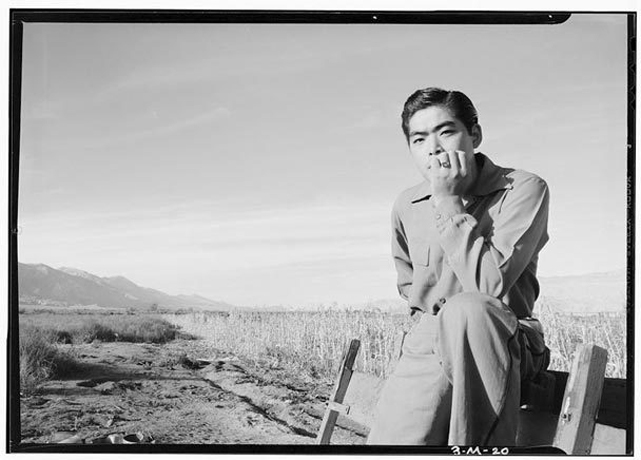 Before Pearl Harbor, Japanese-Americans living in the United States were generally divided into two groups: the Issei, who were native born Japanese who had emigrated to America and constituted over a third of the total, and the Nisei, who were born of Japanese parents within the United States. 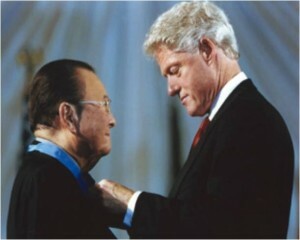 However, many amongst the Nisei held dual citizenship in both the United States and Japan due to the differing citizenship laws of the two nations. In Japan, citizenship was conferred until 1916 through familial relations (paternal jus sanguinis); any child born to a Japanese father was considered to be a Japanese citizen. In the United States, any child born upon American soil (jus soli) was considered to be an American citizen. It should be noted that the Japanese government amended their citizenship laws twice in the 25 years before Pearl Harbor. In 1916, the Japanese government allowed Nisei or their guardians to retroactively renounce Japanese citizenship; and then in 1924 the Japanese government eliminated automatic citizenship of foreign-born children, although the children were eligible for Japanese citizenship if their parents applied for it within two weeks of their birth. Nevertheless, a large number of Nisei, particularly those born before 1924, held dual citizenship with Japan, even if they did not know it. This contributed to the perception of divided loyalties once the war began.